One of my patients recently asked me - Which protocol is better for IVF - the Letrozole Antagonist Protocol vs the Estrogen Priming Protocol ? Actually, the principles of any superovulation protocol for IVF are extremely simple. Superovulation forms the heart of modern IVF. We use medications to help you grow more eggs. Every month you start to grow about 30-40 follicles, but in a natural cycle, most of these undergo atresia (die), so that only one matures every month, in the normal course of events. With the help of medications, we are able to rescue follicles which would otherwise have died, so that we can help you to grow many mature eggs in one cycle. Since follicles grow in response to the hormone FSH ( follicle stimulating hormone), this is the most important medication we use for IVF. This comes in many different forms . The traditional medicine has been urinary gonadotropin ( menotropin or human menopausal gonadotropin). Brand names include Menogon and Repronex ). This has been the work-horse of IVF for many years and is still the most cost effective medication available ! We can also use tablets such as letrozole to help you grow more eggs. These act by boosting the prodction of your own gonadotropins, thus helping you to grow more eggs.These are much gentler and much less expensive , and are very useful for the minimal stimulation IVF programs. So if all we need to make you produce more eggs is to superovulate you with medications, why is this such a big deal ? Remember that we also also need to prevent the eggs from bursting on their own. We need to time egg collection in an IVF cycle very precisely. We want to collect mature eggs before the follicles rupture. We cannot afford to go in too early ( or we will get only immature eggs); and neither can we wait too late ( or the follicles will rupture and we will lose the eggs). Since we know that spontaneous follicular rupture is triggered off by an endogenous LH surge which is initiated by the pituitary gland, the drugs we traditionally use to prevent this spontaneous follicular rupture are the GnRH agonists. Brand names include Lupron and Buserelin ; and these switch off your pituitary gland, preventing it from producing any LH. However, they take a long time to act and need to be given for at least 10 days in order to be effective. These were administered as either a long protocol ( from Day 21 of the earlier cycle; or a short protocol ( starting from Day 1 of the cycle). The newer generation of drugs which allow us to equally effectively prevent the spontaneous LH surge are GnRH antagonists, such as Ovurelix and Cetrotide. These act much more quickly, which means they can be started from Day 7 onwards, which means you need to take fewer shots ! However, these are much more expensive , as compared to the GnRH agonists, and are no better than them as regards their clinical efficacy. In reality, pretty much any protocol works well for patients with good ovarian reserve, so there's not much to pick and choose between them, and most clinics get good results with whichever protocol they are comfortable with. However, some patients can be quite tricky. These include patients with PCOD, who have a high risk of getting OHSS. They need much gentler superovulation, and closer monitoring. The really difficult patients are the ones with poor ovarian reserve. They have fewer eggs left in their ovaries, which means they respond poorly to the standard superovulation protocols. 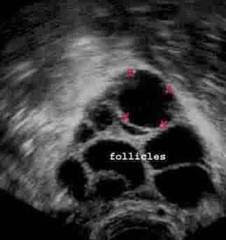 It is for these patients that doctors have developed newer protocols, in the hope that we will be able to coax these ovaries to produce more eggs ! A lot of the emphasis is on precycle preparation. The hypothesis is that if we treat patients prior to starting their IVF cycle with estrogens ( the estrogen priming protocol) or androgens ( such as DHEA) , they will produce more eggs because more follicles will be recruited when we start the superovulation . Many doctors will also use supplements like wheatgerm , Vit D3 and CoQ 10; as well as alternative medicine ( yoga and acupuncture) to boost ovarian response. Why do they do this ? I think there are 2 reasons. If you use long complex technical names, this helps to put patients in their place . If you make it complex, patients don't ask too many questions because they are out of their depth, and they respect you even more because you are the expert who has mastered all these esoteric medical details ! Doctors also have a fascination for anything which is new . Doctors like to innovate - and it's fun to design and do something new ! Just remember that new is not always better - and please try to understand the principles behind the treatment, so you do not get taken for a ride ! Wonderful post to understand basics! Thanks!